FONTANA, Calif. – Denny Hamlin conjured up a name from “Days of Thunder” when talking about his golf buddy Kyle Larson. 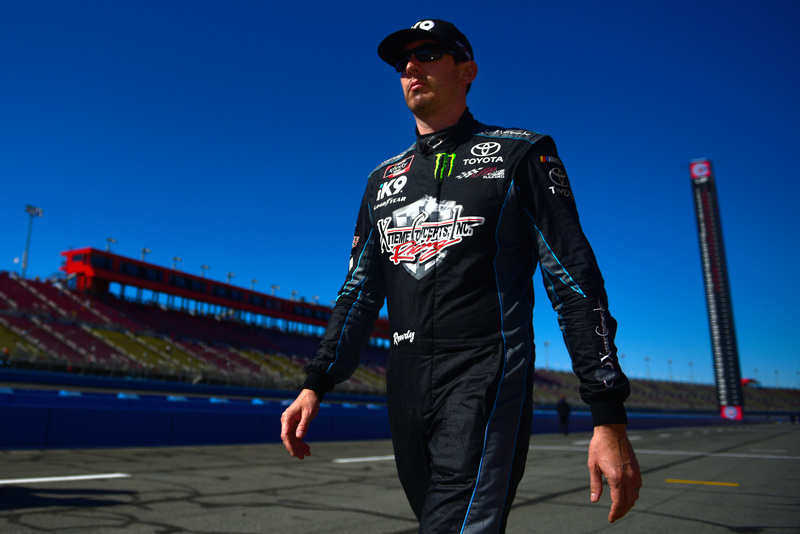 “I’ve talked to both of them pretty often, between Kyle Busch and Kyle Larson,” said Hamlin, who has been Busch’s teammate at Joe Gibbs Racing for more than a decade. “Larson is definitely the Cole Trickle. He just gets in and drives. He has no idea what’s going on within the car—and that style works, and he’s fast, and he’s really, really talented. Kevin Harvick has a selective memory—and he’s happy about it. 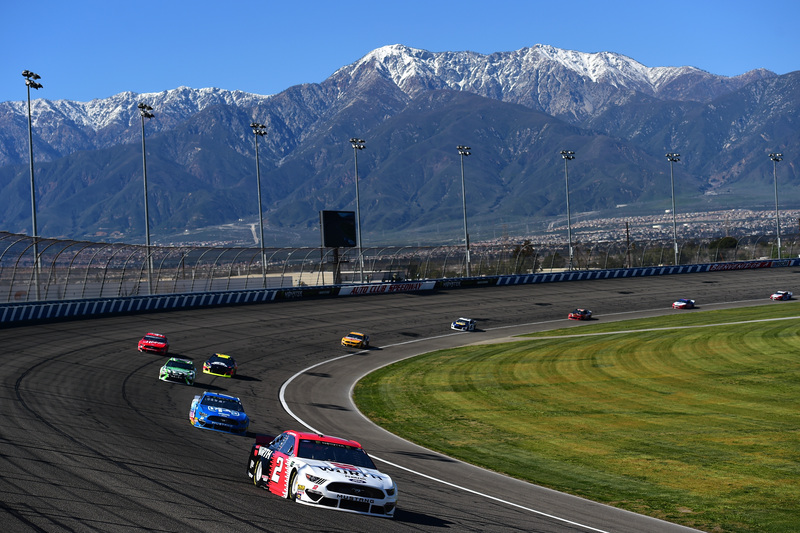 Of course, that could change in Sunday’s Auto Club 400 (3:30 p.m. ET on FOX, MRN and SiriusXM NASCAR Radio). Harvick will start on the front row beside pole winner Austin Dillon. 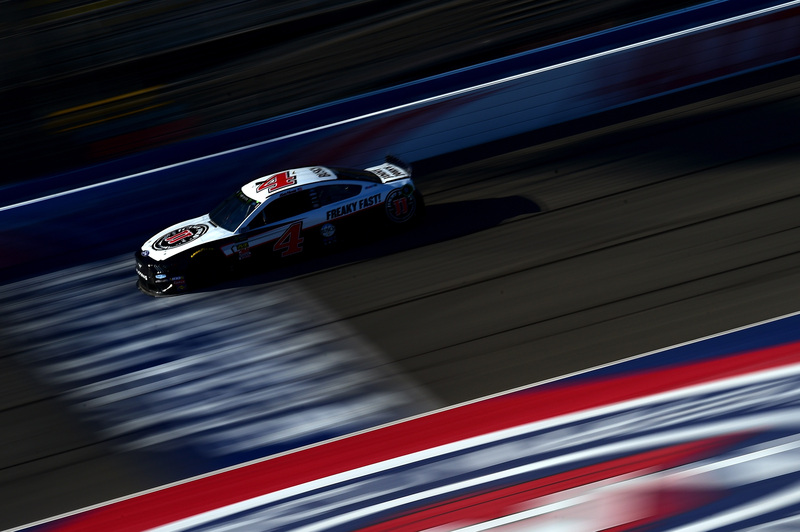 Kevin Harvick, who will start next to Dillon on the front row on Sunday, fought a tight condition in Happy Hour and posted the 17th fastest single lap. Six-time Fontana winner Jimmie Johnson was one spot behind Harvick on the speed chart despite getting the most track time in the session. Johnson ran 52 laps in the 50-minute final practice.